We’re delighted to announce that multi-award winning training company MTD will be sponsoring our prize giving for the second year running. Like last year, they have kindly offered to provide two student prizes in the form of public training courses for the 2018/2019 academic year. 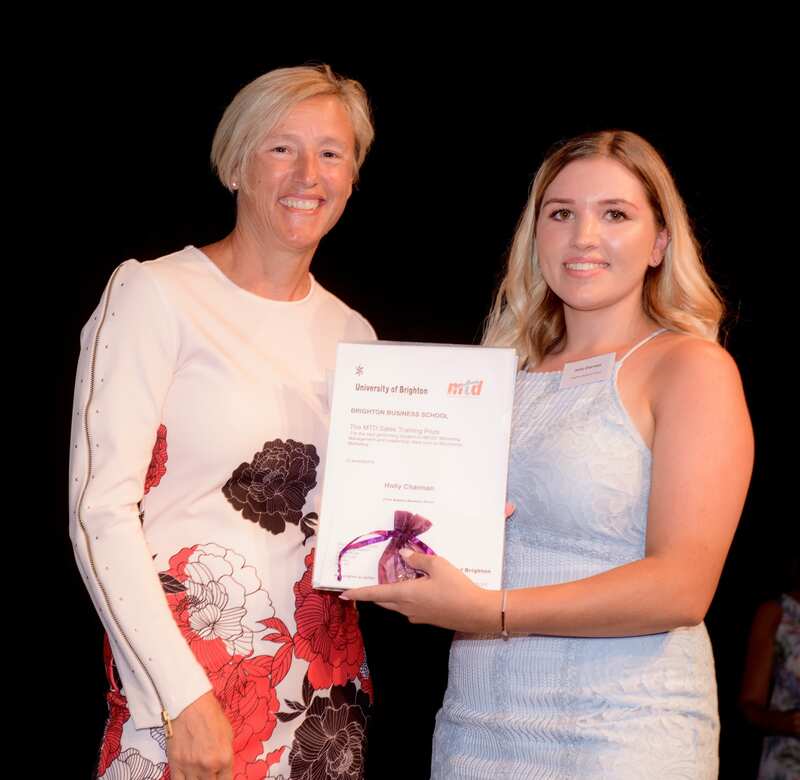 Sandra Ruge, pictured right, her awarded the MTD Management Training and Development Prize for the best performing student on our Managing and Developing People module, a core final year module across the BSc(Hons) Business Management programme. Suzanna Baynard, Finance Manager at MTD, presented the award. The 2 prizes consist of a 2-day Essential Management Skills Course which is accredited by the CMI & CPD and also a 2-day Essential Selling Skills Course which is accredited by the ISM & CPD. Both courses are run each month at various locations throughout the UK. Both courses will have attendees from a management or sales role, so it’s a great way to get networking and building relationships with potential employers and is great for the employability of our students. 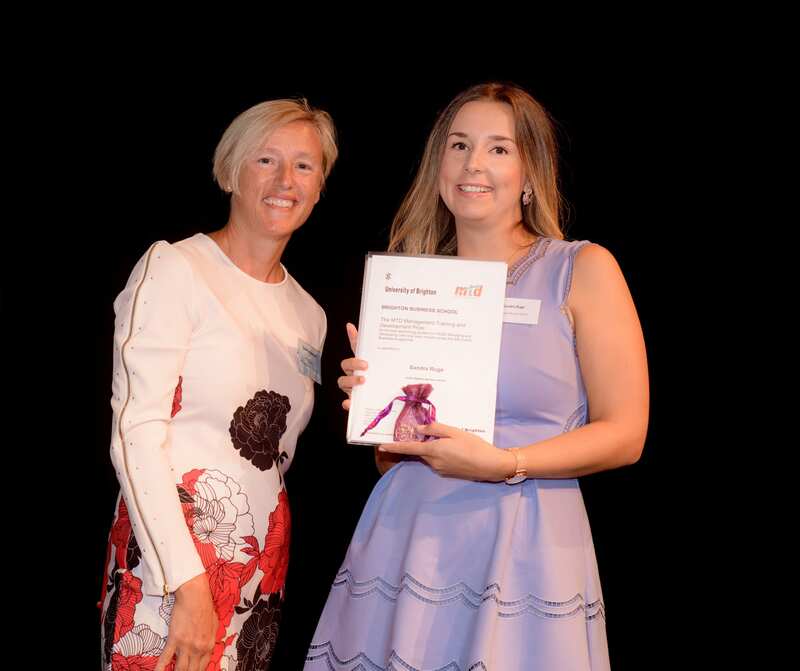 Holly Charman was awarded the MTD Sales Training Prize for the best performing student on our Marketing Management and Leadership module – a core module on our BSc(Hons) Marketing Management. It’s great to build on our on-going relationship with MTD. MTD Training specialise in management training and sales training. Since 2001 they have delivered training to over 300,000 people in over 23 different countries. Some of their clients include Amazon, NFU Mutual and also Virgin Atlantic to name a few. Tagged employability, Graduates, Industry, MTD Training. Bookmark the permalink.